Come to Friendly Water for the World’s Ethiopian Food Lunch and Summer Gathering – Sunday, August 16th! Abraham Bezabeh, Friendly Water for the World’s representative in Ethiopia, has arrived in Olympia. And he’s ready to cook! Abraham Bezabeth is Friendly Water for the World’s Ethiopia Country Representative, doing extraordinary work with people who otherwise have no access to clean water. He is also a **great** cook! 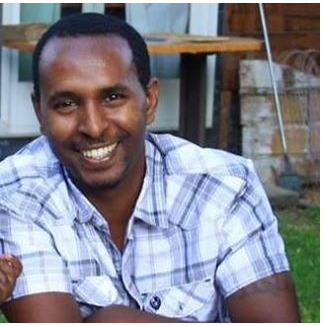 He will be preparing a traditional Ethiopia meal, and will also share about his work. 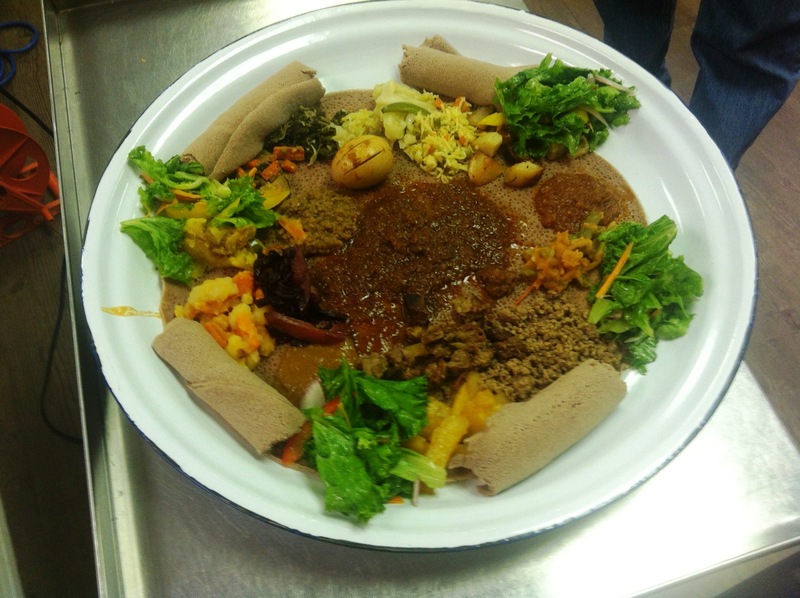 When we say we are having an Ethiopian Lunch on Sunday, we mean ETHIOPIAN. Abraham has brought all the bases for his sauces plus all the spices directly from Ethiopia. “My refrigerator is now filled with them!” says David Albert. Abraham says many of the ingredients are simply not available here – even in Ethiopian restaurants. Lunch will be followed by Friendly Water’s Annual Summer Gathering! Make new friends, and greet the old, and find out what we have been up to, and plans for the coming year. Nice stuff from our travels for sale as well. We’ve scheduled a “second seating” for Abraham’s delicious food at 1 p.m. because we know some of you can’t make it by 11:45. But you have to RSVP so we know how much food to prepare. Let us know if it is for the second seating. E-mail david@friendlywater.net or call 360 918-3642. Olympia Monthly Meeting has been a strong supporter of Friendly Water for the World, and many members and attenders have met Abraham before. So this is an opportunity to meet him, eat some GREAT food, leave a little money behind (or a lot! ), and learn more about Friendly Water. Please Join Us, and Bring Your Friends!